"Somehow, just like yesterday and every day before that, everyone outside my apartment is an idiot, except for ME!" but I always hate bicyclists. 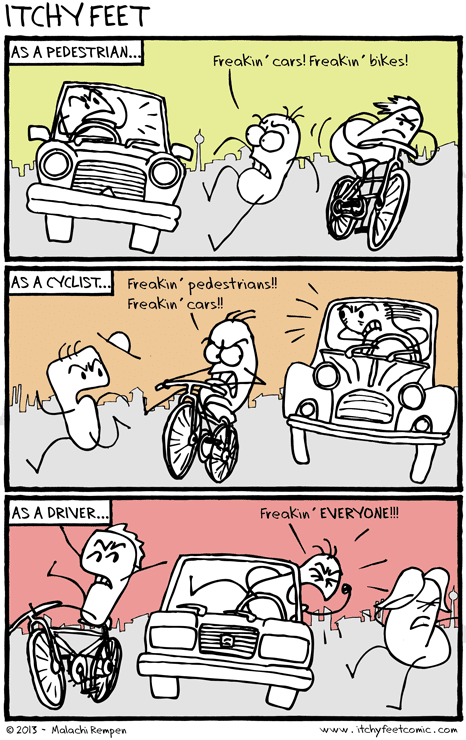 As a bicyclist, I love you!